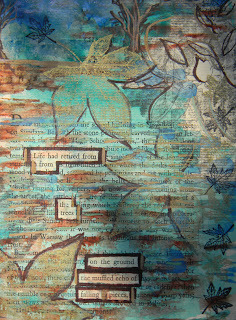 I recently asked one of my new found friends in Canada if she would like to do a mail art swap with me. I have been enamored with Jeannine Saylor's blog Saylor Made for a while now. She has beautiful control over watercolor (which I have never quite mastered). 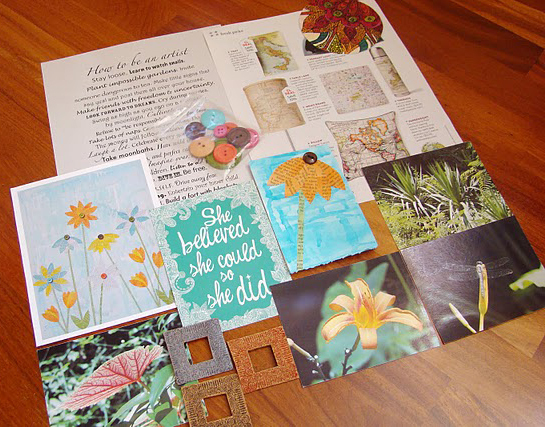 I sent this lovely package to her and she featured it in her Mail Art Monday blog segment. I can't wait to see what Jeannine has in store for my return package. (I secretly hope there's a watercolor in there). 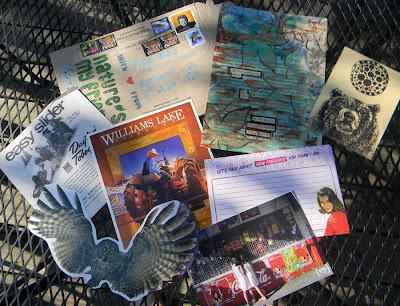 This past weekend, a long awaited package arrived from Jessica Gowling at Nature's My Friend. She sent this package to me around the same time I posted mine to Jeannine. We both had our doubts about whether it would show...but finally it did! 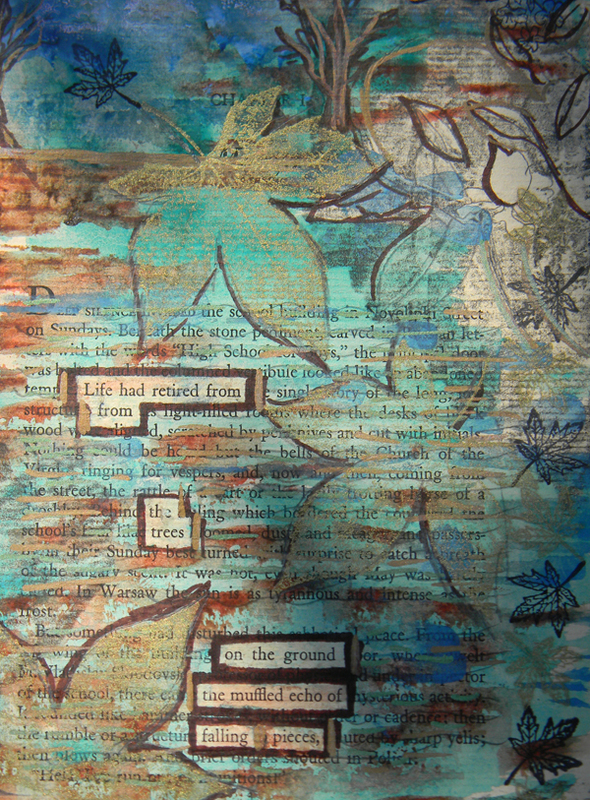 The package contained: a beautiful altered page (incredible! ), a bear print (with a lovely handwritten message on back), two postcards (one a poster design and the other a clever photograph), two notes cards that read..."Let's talk about How Fabulous you think I am" and two cut-outs (one of an amazing owl and the other of the Easy Slider snow sled - "King of the Hill"). Jessica is a pro at putting these packages together. I hope my return package will be just as enjoyable to her. And next time...I'll give the post service a bit longer before I lose faith!